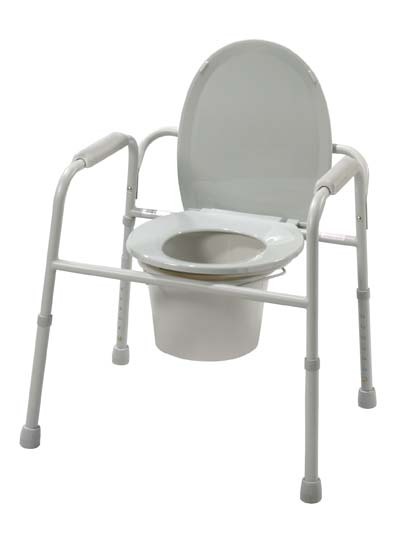 The Invacare Bariatric Commode is designed to suit the needs of bariatric individuals weighing up to 650lbs. With its extra wide seat and durable steel frame design, it offers consumers the strength and comfort they need. It also includes a removable push button backrest. Product Weight Capacity: 650 lbs.